Here are some observations about how quickly social media events can impact major global brands, and how corporations must carefully determine both how to respond, and who should offer the response. The Tide Pod Challenge went viral in early January, as it was featured on Reddit threads, memes, gifs, and YouTube videos; Hollywood icons like Jimmy Kimmel even made jokes referencing the fast-developing trend. Unfortunately, real-life harm quickly followed, as more than 80 people have called poison control after intentionally ingesting Tide Pods this year. Unlike other dangerous social media stunts involving cinnamon or ice and salt, the Tide Pod Challenge centers on the misuse of a specific, brand-name product, with potentially deadly consequences. 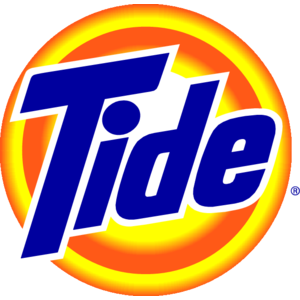 Moreover, Tide is one of Proctor & Gamble’s best-known and most valuable brands. Tide’s initial response was too indirect and failed to offer a clear corporate position on the dangerous activity involving this important brand. Simply put, the CEO waited too long to directly address this growing controversy in a serious way. Tide’s timid initial communication came in the form of a video PSA featuring Tide partner Rob Gronkowski on January 12 in which the NFL superstar relayed Tide’s message: don’t use Tide Pods for anything other than laundry. Yet the video’s light-hearted approach undermined the potential physical dangers. The casual video made great use of the platforms that aided the spread of the challenge to try to combat the problem at a publicly-accessible level, but its message about the dangerous misuse of the product was intentionally disassociated from P&G or its corporate brand. The Tide brand has also been active on social media, spearheading the removal of challenge videos from Twitter and YouTube platforms and actively engaging with followers about how to seek help after participating in the challenge. But it wasn’t until January 22 that the CEO of P&G, David Taylor, released a blog post entitled “Safety is No Laughing Matter” in which he directly implored parents to address the central issue of this challenge with their kids. The corporate voice and serious tone of this statement – as clearly signaled by its title – starkly contrasted with that of the Gronkowski PSA, and only served to underscore the fact that the company’s initial attempt to address the matter failed to directly convey the global enterprise’s concern over the behavior. This two-toned approach would not have been as confusing and may have achieved the intended communications goal had the sequence been reversed. Only after addressing the seriousness of the problem from the top rungs of P&G management could the company have released a more casual PSA across the social channels where the challenge videos and memes were appearing. The differing tones would have appeared progressive and intentional, rather than confuse the public about the seriousness with which P&G regarded the challenge and the need to advocate against it. If a company is facing a crisis in which the health and safety of a very visible brand’s consumers could be at risk, direct communication from a senior leader is almost always necessary. Any initial reliance on casual communication that is not clearly associated with the enterprise will sacrifice a critical opportunity for the company to establish a strong and serious voice on the issue before its key stakeholders. Having an executive offer his/her views and perspective on the situation in its earliest stages can demonstrate leadership, boost credibility, and set the tone for subsequent media coverage and discussion on social channels. And such an approach can always be followed by softer communications and messaging over more brand-focused channels. In the wake of the Tide Pod Challenge, corporate communications professionals should take a fresh look at their crisis planning efforts to ensure senior management has a visible role at the outset of similar situations.